It all started in 2005, when we acquired a camera to try to produce 'Made in Mauritius' movies. Together with a team of 7 amateur actors, we began an audacious adventure which consisted of trying to inspire ourselves from Hollywood, Bollywood & many other commercial movie styles around the world in order to produce entertainment movies in Mauritius with the commercial objective of trying to export them. After struggling to make the authorities consider our film production projects, despite the good intentions of the MFDC, we soon realised that, if we wanted to achieve our objectives, we had to take our destiny into our own hands. Hence, our team started to hold regular meetings every Saturday to promote our cinematographic movement. We practiced filming with our own means while the amateur actors of our team obtained the chance of practicing acting in front of our camera in order to excel. After participating in a local film festival, our team was congratulated by the audience which was impressed with its work. This encouragement gave us a big boost to further struggle with our film making passion which started to attract more people. Soon our small team of 7 amateur actors increased to 35, then to 50, and in 2009, it reached more than 100 artists & technicians willing to make of our cinematographic passion a film industry. 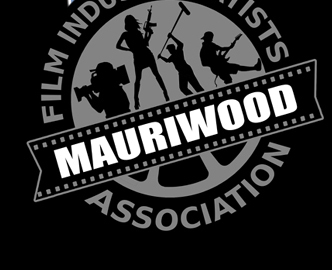 Today after working together on feature film productions financed by the private sector, these artists, technicians & other film making enthusiasts have decided to officially call their wonderful team the Mauriwood Film Industry Artists Association.